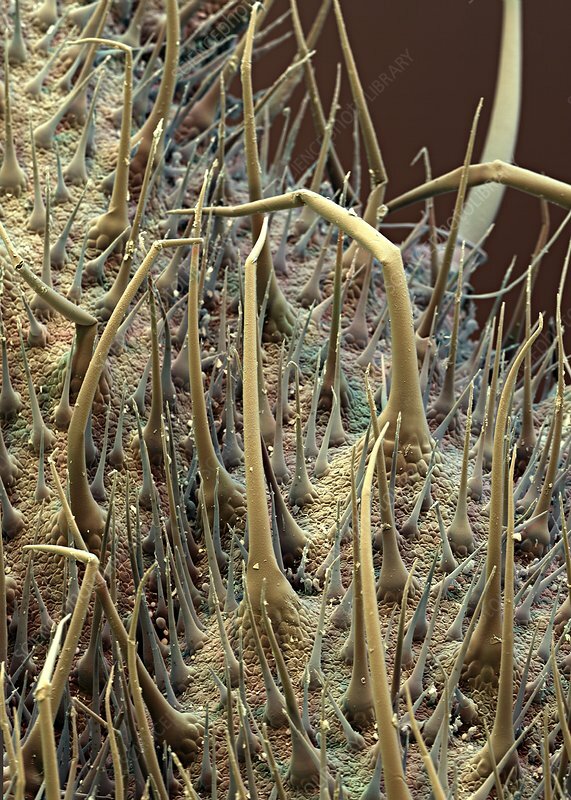 Borage (Borago officinalis) trichomes, coloured scanning electron micrograph (SEM). The borage plant contains many coarse stiff trichomes, giving it a hairy appearance. These trichomes can cause mechanical irritant contact dermatitis (MICD) when the plant is handled.